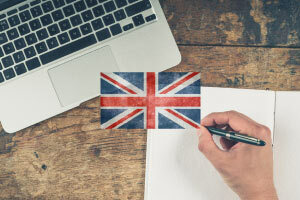 English has become a global language and is used to communicate internationally in areas such as business, science and information technology. To communicate confidently in English a good knowledge of grammar, vocabulary and punctuation is needed. 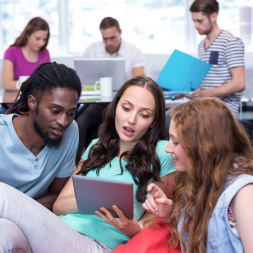 The Alison Learning Path in English Language Skills introduces you to the fundamental aspects of English grammar, vocabulary and punctuation and explains how they should be applied in both written and spoken English. The Alison Learning Path in English Language Skills is a sequence of courses that will help you go beyond a basic level of spoken and written English and help you become more effective and confident when communicating with other people. You will learn about the use of Past, Present and Future tenses, the common mistakes made when using these tenses, and their correct usage. You will also learn about the word order of a sentence structure and how to turn a sentence into a negative or a question. You will expand your English language vocabulary and improve your pronunciation skills. You will cover vocabulary in areas such as shopping, food, and sports, and pronunciation of the alphabet and silent letters. The course also covers the 10 most-used nouns, verbs, and expressions in English. It is ideal for English language students who wish to complement their vocabulary and phrases with a greater understanding of grammar. It is also suitable for native English speakers who want to revise their grammar or learn to communicate more effectively. This Introduction to English Grammar - Tenses and Sentence Structure course will help you understand everything you need to know about English tenses. As you may know, there is more to the past, present, and future tenses of verbs than meets the eye. With this course, you will learn the common mistakes that students make when using these tenses. Soon, expressing yourself clearly and precisely in English will come naturally to you. Once you become familiar with English verb tenses, you will learn the perfect word order in English sentence structure. Learning perfect word order is essential for you to sound like a native speaker! This is a crucial part of English writing and speaking, which will make your sentences clear and easy to understand. Next, you will learn how to turn a sentence into a negative or a question. This will make having a conversation in English much easier for you. 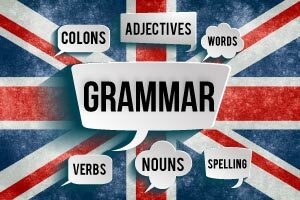 This English grammar course will be of great interest to all English language students, language teachers, and anyone who wants to improve their understanding of the English language, particularly English verb tenses. By mastering this part of the English language, you will unlock more advanced English grammar and sound more like a native speaker. So why wait? Check out this course and enhance your English language skills today! 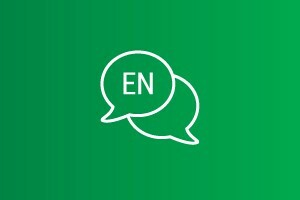 Many non-native English speakers find when they study the English language that there is quite a leap from basic informal conversational English to more formal business-like English. The use of colloquial expressions by native English speakers can also be quite confusing to the non-native speaker. In this course you will study comparisons between informal and formal uses of greetings, introductions, offers, expressions of gratitude and apologies. You will learn how to recognise the differences between these so that you will be able to decipher what exactly is being communicated. You will practise examples to further increase your knowledge and understanding of the English language. This English Grammar course will be of great interest to all learners who want to go beyond a basic level of spoken and written English and take their knowledge and understanding to a higher level. Everyone finds some English words difficult to pronounce sometimes. The good news is, if you practice regularly then speaking English correctly and fluently can become effortless. This free English language course covers the vocabulary most commonly used in shopping, cooking, restaurants, and sports. It also teaches the correct pronunciation of the alphabet and silent letters, so that you can understand the more difficult aspects of English pronunciation. Next, the course covers the 10 most-used English nouns and verbs as well as common expressions in English. 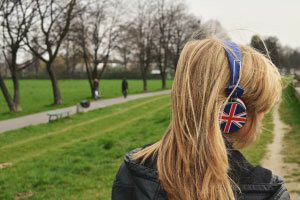 This will really help you sound more like a native English speaker and will allow you to have easier conversations with people in English. 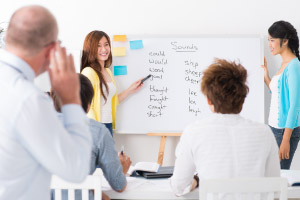 The course will then take you through exercises covering basic English pronunciation, and will quiz you on important sets of English vocabulary. This will get you ready for the most common conversations people have in English. Learning English as a second language has a lot of benefits, both personally and professionally. This free online course from Alison will be useful to all learners who already have a basic knowledge of the English language. If you want to further improve your vocabulary and pronunciation skills for travel or career advancement, this is the course for you. So check out the course today, and start boosting your language abilities even higher. Being able to write well in English is a fantastic skill. With this course, you will learn the most important English writing styles covering the areas of comedy, suspense, thriller, and poetry. This will allow you adapt your writing to the right tone for the right situation. To boost this ability, you will also learn how to write descriptive, instructional text, and opinion pieces, which will prepare for writing in a large number of different forums. Next, you will be guided through the skills of audience management. You will first learn the differences between the main types of audiences, and will then be shown how to identify different audiences in different situations. Next, the course will show you how to appeal to each audience type, so that you can write for almost anyone. Each lesson will be outlined in a clear and simple manner so that your learning experience will be as easy as possible. If you believe in the saying that the pen is mightier than the sword, this is the course for you. 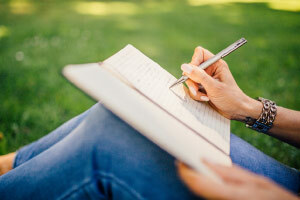 Being able express yourself clearly in writing is a wonderful skill that can last the rest of your life and serve you in a wide range of important situations. So why wait? Start the course now, and continue your journey towards really impressive writing and expressive skills. Successfully complete all of these courses to receive a English Language Skills Learning Path Award.